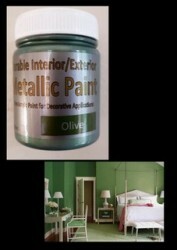 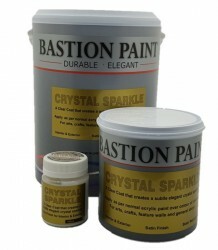 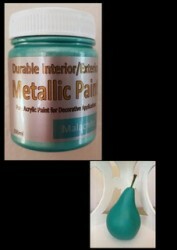 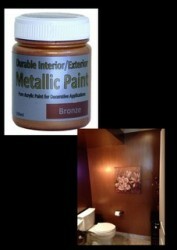 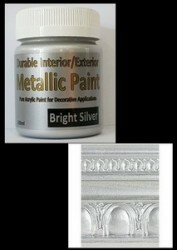 Pure acrylic metallic paints with high sheen and metallic lustre. 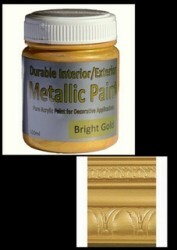 For interior and exterior applications. 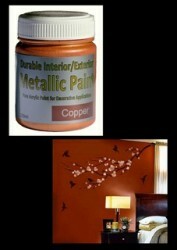 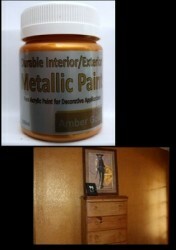 Enjoy the ease of use and environment and health benefits of using water-based metallic paints. 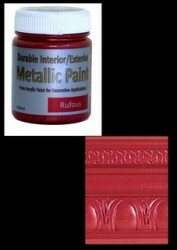 Perfect for rooms, feature walls, exterior house highlights, kitchen cupboards, doors, pillars, roof domes, plant pots, garden furniture, hotel foyers, movie & theatre sets, arts and crafts and general décor.